Michael Reiter is an attorney with Milligan, Beswick, Levine & Knox LLP. Mr. Reiter concentrates on Code Enforcement Law. After years of working for cities as Deputy City Attorney and Assistant City Attorney, Michael Reiter helps residents and businesses with code enforcement and land use problems with cities, counties and other public entities. Assisting clients and handling matters in Riverside County, California and San Bernardino County, California (also known as the Inland Empire), Los Angeles and Orange County, California, and throughout the State of California on Code Enforcement matters, Michael Reiter has been an attorney for more than 19 years. Michael Reiter practices law in the following areas: Code Enforcement Law; Real Estate and Real Property Law (including eminent domain and inverse condemnation); other Municipal Law, and Small Business Law. An experienced litigator, Michael Reiter helps clients achieve their goals in both civil litigation and in transactional matters. Michael Reiter graduated from Santa Clara University School of Law and the University of California, Berkeley. 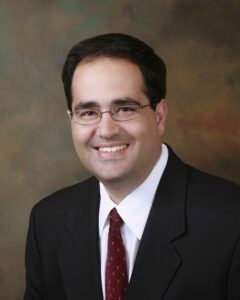 He has years of experience as an attorney, including serving his community as Assistant City Attorney for the City of Redlands, as a Deputy City Attorney for the City of San Bernardino, and as Staff Attorney for the Legal Aid Society of San Bernardino, Inc.
Santa Clara University School of Law, Santa Clara, California, 1998 – J.D. To learn more about how Mr. Reiter and the other members of our legal team can provide you with advice and assistance in criminal law cases, family matters, and other legal issues, give us a call today at (909) 798-3300 or contact us online.